Being a beginner can be fun and engaging! In this workshop you will receive individualized attention from Vanessa while learning basic postures for flexibility, strength, and balance. You will also learn ways to modify these postures in an open level class to make them feel right for you. Participants will learn how to skillfully use yoga blocks, blankets, and belts to ease places of tightness and support themselves in a healthy practice. You will learn some of the basic techniques of meditation and relaxation, which bring the mind into stillness and silence. This workshop is a perfect opportunity for a beginner to learn the basics of yoga in a safe, slow, encouraging and gentle atmosphere. Vanessa Spina is an experienced and passionate teacher whose classes both empower and inspire students of all levels. Teaching since 2001, her intelligent, playful, and nourishing sequencing is informed by years of studying alignment through Anusara yoga. In addition to her ongoing classes in New York City, Vanessa works with private clients and teaches a course she created called "Yoga For Performance" as an adjunct faculty member in the nationally ranked New Studio/Drama division of the Tisch School of the Arts at New York University. Some of her most influential teachers are Mary Dunn, John Friend, Ellen Saltonstall, Jimmy and Ruthie Bernaert, Christina Sell, and Peggy Spina (her Mom). Her students are also an unlimited source of inspiration and creativity. 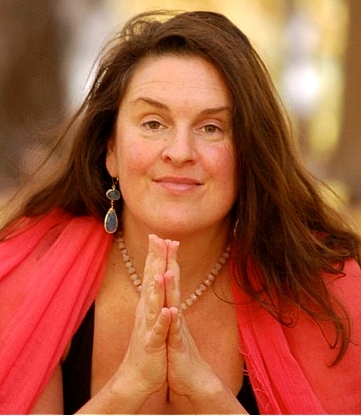 Vanessa is known for her nurturing yet perfectly challenging practices.